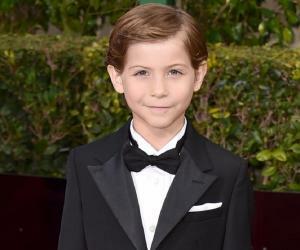 Find out more about famous child actors, including Millie Bobby Brown, Finn Wolfhard, Jacob Tremblay, Noah Jupe and Jeremy Ray Taylor. When we talk of child actors, Jodie Foster’s name is probably among the first ones that come to mind. From appearing as a little girl in the 1976 film ‘Taxi Driver’ to evolving to more mature roles as a successful young actress, she has achieved the dream every child actor harbors. Similarly, actors Daniel Radcliffe, Emma Watson, and Rupert Grint, who began their careers as children in the ‘Harry Potter’ film series, have all now moved on to play more mature roles in mainstream films. While there are numerous child actors like Lindsay Lohan and Macaulay Culkin who achieve much popularity as children, it’s only a few who are able to transition to an equally successful entertainment career as adults. While many struggle as teenagers and twenty-somethings to re-establish themselves in the acting field, a few like Peter Gardner Ostrum—a child actor turned veterinarian—go on to build successful careers in entirely different arenas! Regardless of what the future holds for them, child actors do lead extremely fascinating lives while working in the show business. Interested in learning more about child actors? Read on for more information on the lives and works of child actors from across the globe.